Timea is an interdisciplinary artist and educator who has been working with ceramics for over 20 years. Timea moves fluidly between traditional and technologically aided processes. She is intrigued by how the brain and the body together make sense of our world and how this process of making meaning is understood in art, mathematics, neuroscience and philosophy. Timea's projects range from sculpture to multimedia and participatory installations. She is a Senior Lecturer in the School of art + Art History + Design at the University of Washington and the winner of the 2018 Neddy Award in Open Media. Sara is a Professor of Mathematics and a John Rainwater Faculty Fellow at the University of Washington and an active member of the Association for Women in Mathematics. Sara’s research is in algebraic combinatorics and she is a strong advocate of using computers to do math research. Sara is working with us on devising, coding, and implementing various rule-driven algorithmic pattern generation processes in both 2D and 3D. Xun is a freshman at UW intending to major in Computer Engineering. He is particularly interested in building robots and creating interactive physical computing systems. “Slip Rabbit creates an environment for solving problems creatively and cooperating with people from other disciplines. That’s why I enjoy spending time at the studio.” In his spare time, Xun likes to play basketball, tennis and video games, and to write more bugs in his programs. 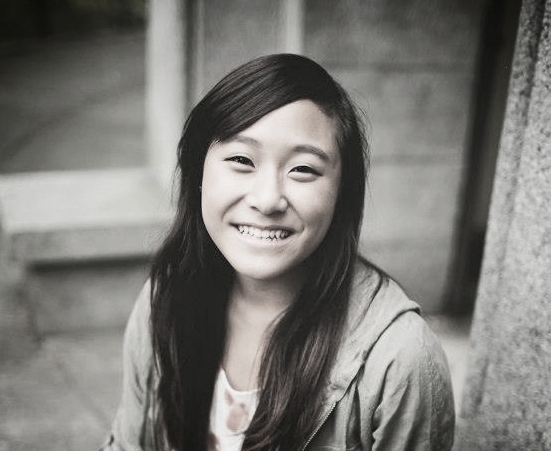 Kayla is a sophomore at the UW, intending to major in informatics. She is intrigued by the interdisciplinary potential technology brings to various disciplines. “At Slip Rabbit, I’d like to be part of a process where technology meets art, expand my knowledge and meet amazing people.” Kayla plans to work in data science or software development. When she is not at the studio or in classes, she enjoys playing tennis, watching movies, and going out with friends. Veloria is a senior in psychology, studying motivation and the "imperfections" of the human psyche. She is interested in applying psychology in the real world and planning to have her own business in the film industry. In her free time, Veloria enjoys travel, movies, museums and exercise. At Slip Rabbit, Veloria helps out with our outreach efforts. Eli is the designer of the Slip Rabbit logo. Eli studies Visual Communication Design at the University of Washington, where he also works with the Jacob Lawrence Gallery in the SOA+AH+D on publication design. Eli is helping us with visual production for the upcoming Slip Rabbit 3D printing "cookbook," Connected Processes: Tactile Patterns in Art and Math. Audrey Desjardins is an assistant professor of Interaction Design at the UW Seattle. Trained as an industrial designer and interaction design researcher, she uses design as a way to critically reflect on people’s creative tactics to make, adapt, and transform their homes and to investigate potential futures in domestic spaces. Her work results in new methodological frameworks and design guidelines to inform the design of interactive artifacts that are more appropriate and nuanced to fit in people’s homes. Nick is a senior at the UW, studying Communication. 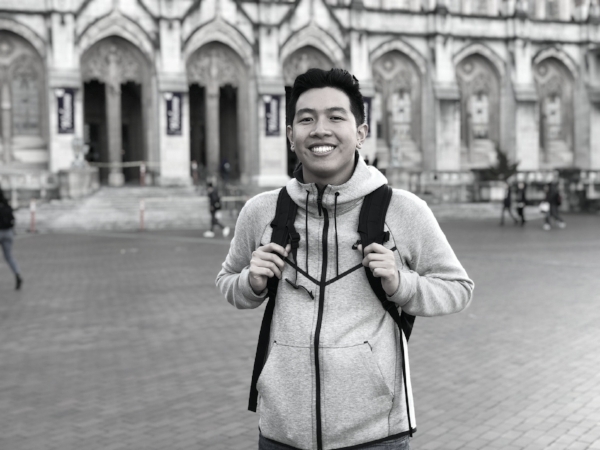 He hopes to combine his interests in marketing and technology to pursue a career in either social media management or in the media industry. In his free time, Nick enjoys basketball and movies and plays tennis. At Slip Rabbit, he aims to expand the outreach of the studio through the use of social media and video production. 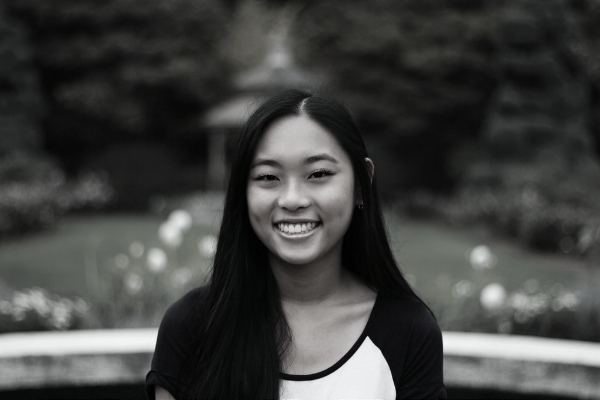 Alison is a junior at the University of Washington studying Human Centered Design & Engineering (HCDE). She has had a lifelong passion for art, especially ceramics, and plans to pursue a career in UX Design. In her free time, Alison likes to cook and garden, and is a DJ at Rainy Dawg Radio. Zeray is a fresh graduate of UW Mechanical Engineering. Zeray is interested in the manufacturing, engineering and user applications of 3D printers in various disciplines, including art. In Zeray's words: "I joined Slip Rabbit to learn from people around me, to further expand the knowledge I have, and to offer my own experience from different engineering projects." Caroline is a senior at the University of Washington studying Industrial Design. She hopes to expand her skills in her final year of school and create meaningful products and experiences that help people live a better life. Slip Rabbit has provided her a place to explore the new possibilities of technology through 3D printing and CAD modeling, while experimenting with form. When she's not working at Slip Rabbit or her other design internship, Caroline likes to hike, sketch, work on design projects and travel with friends. Eli Kahn is driven by curiosity and his desire to create. Eli is a Junior in VCD at the UW but he also finds Industrial Design fascinating—part of his reasoning for interning with Slip Rabbit. Outside of design, he holds interest in distance running and cooking. He is currently figuring out his place in the world with an identity of both an artist and designer, and whether or not he can’t just be both. Daria is a senior at the University of Washington studying mathematics. She is involved with the Washington Experimental Math Lab (WXML), currently searching for patterns with respect to algebraic curves. She is interested in visual and tactile representations of mathematical objects as a means of understanding them. Daria has been on our team for two quarters. Pooja is a junior at the University of Washington studying mathematics and sculpture. As a student studying both art and math, she is intrigued by the connections between the two disciplines, and how they complement each other. In her free time, Pooja enjoys working on her art, teaching yoga, and spending time with her two dogs. Soham is currently a sophomore with a double major in Math and Econ and a minor in informatics at the University of Washington. In his free time, Soham loves playing soccer and listening to music from the 90s. He plans to pursue a career in actuarial sciences. Annabelle, spending her her second quarter with Slip Rabbit, is a recent BDes graduate of the UW Industrial Design Program. Annabelle was chosen in 2016 as a competition finalist for the Rometti Award, which earned her a two week intensive with the company, designing and producing a ceramic prototype for the Rometti line. Annabelle's wizardry makes the Rhino design environment seem like the funnest thing in the universe. 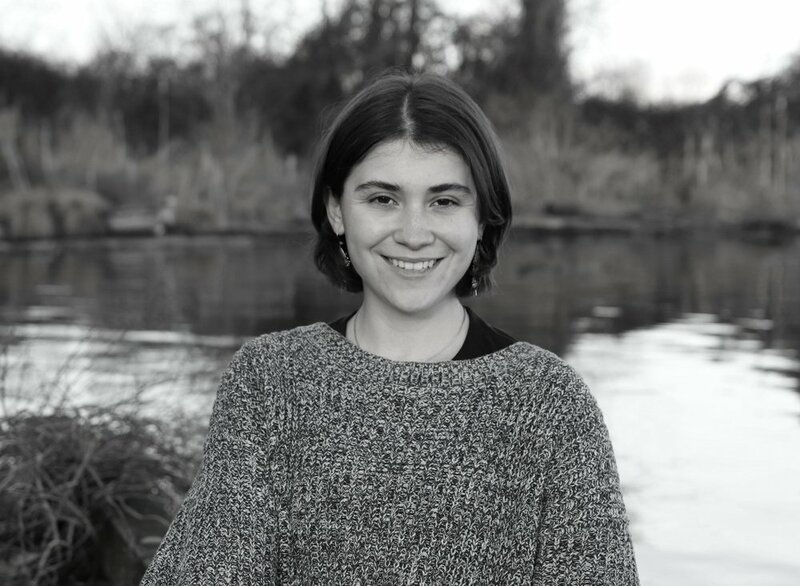 Frida is a senior at the University of Washington, studying Interdisciplinary Visual Arts and minoring DXARTS. She's interested in exploring ideas related to dreams and bases her artwork on shapes and patters of nature. She combines traditional art with new media art to create meaningful experiences. Huiqing earned her BA in Interdisciplinary Visual Art at University of Washington, Seattle in 2017 and spent two quarters with Slip Rabbit as an intern. As a dedicated artist with the focus on interdisciplinary art and ceramics, Huiqing values craftsmanship and materials. Her figurative sculptures reveal the sophistication and simplicity of being human and her understanding of clay as the most accessible medium for honing character and temperament as well as training physical and perceptive ability. Yi-Chun (Kate) is a recent Interdisciplinary Visual Art and Psychology graduate from the University of Washington. Kate centers her art practice around topics such as self-identity and environmental issues while incorporating materials that hold personal meanings. Besides making art, Yi-Chun is also interested in museum studies. She did a summer internship at the Kaohsiung Museum of Fine Arts in Taiwan in 2016. Ryan is an upcoming senior in the University of Washington Industrial Design Program. Ryan is interested in working with new technologies and exploring design application across many different industries. He also does photography, makes music in his free time, and loves traveling to new exciting places. Jay is a UX designer and a recent graduate of UW HCDE. He believes that a designer’s skill set should not be limited by his/her title. Jay has worked with NASA JPL, UW Department of Statistics, and OTVcloud on various design projects. Currently, he is building an auto-following drone using Arduino. Matt has been a lecturer in mathematics at the University of Washington, Seattle since 2001. He is interested in the application of mathematics to the generation of visual and sound art forms. His student group, Number Theory and Noise, has been part of the WXML (Washington Experimental Math Lab) since 2016, investigating the representation of integer sequences as sound.